Teambuilder will launch on 1 March 2019 subject necessary Legal Approvals. This is to give us time to Register with the Local Authority, to appoint a Draw Promoter and Committee and to draw up Rules and Constitution. Teambuilder is a combination of 2 very popular and former Eastbourne Speedway Traditions and in line with our “back to the future” project. The aim is to build a Fund for the use of the Speedway Team and Riders and to offer a Regular and properly managed Lottery Type Draw. It is aimed at individuals and/or groups who wish to support the Club but whose pocket may not stretch to the usual forms of advertising and sponsorship. The Teambuilder combines the aims of the old RAAG – Rider Aid Action Group of the 1970’s / 1980’s and the 100 Club draw of the more recent past. A monthly contribution (payable by Direct Debit / Standing Order / Regular Paypal type payment) of between £10 and £100 (in £10 units) will be allowed. Each £10 contribution will be 1 unit – so £10 buys 1 unit in to the draw and £30 buys 3 units etc; up to a Maximum of £100 for 10 units. The Proceeds will be split 50/50 between the RIDER AID/CLUB element and the LOTTERY ELEMENT. A Draw will be held on the 15th of each month (every month) or on the date of the first meeting after 15th of the month in the Speedway season (drawn on Centre Green and/or Filmed by Eagles TV and drawn by an independent person). The Committee will be formed of a maximum number of 9 people – with a quorum of 5 required to attend a monthly Committee Meeting or to “dial in” during Close Season. A formal Committee and properly minuted meetings with formal Agenda will be set up. The Committee will decide on Funding Requests from The Club Directors / Club Promoters and or Team Riders as they are presented, all requests will be minuted and noted. The Committee will also oversee all Lottery Matters and the named Lottery Promoter will be a Committee Member. 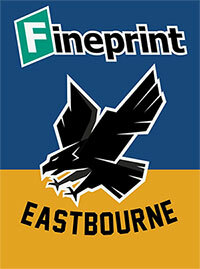 If you are interested in subscribing to the TEAMBUILDER Programme further details will be available on this page by 1 February 2019 and will also be announced via all Eastbourne Eagles Media Channels. There will be NO Rolling Raffle / Raffle Ticket Draw in 2019. (Any outstanding prizes regarding the previous Raffle are being resolved). We prefer to have a PRIZE DRAW (in addition to TEAMBUILDER above) that will be simple, transparent, easy to operate and give an IMMEDIATE CASH PRIZE at every meeting. The Programme Draw will require a Programme to be purchased to enter the Draw. At each Home meeting the Programme will include a Random Prize Mechanism to award CASH PRIZE of not less than £100 to a single winner and at least 2 other Prizes NON CASH Prizes with a monetary value of not less than £25 each. The PROGRAMME DRAW will be explained and announced in the INTERVAL of EVERY HOME MEETING and the winner invited immediately on to the Centre Green to receive their CASH PRIZE. The CASH PRIZE winner and the other Prize Winners will then be invited to have Photographs taken immediately after the Meeting with one of the Home Riders (if possible one of their choice). The Winners Photographs will be published across ALL Eastbourne Media Channels and in the Programme for the next Home Meeting. NEW FOR 2019 – Programmes will be available not only on ENTRY to Arlington but from Selling Points around The Stadium.